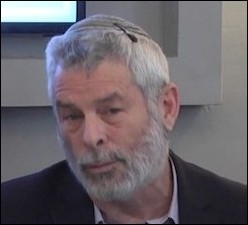 Hillel Frisch, professor of Middle East Studies at Bar-Ilan University and a senior researcher at the Begin-Sadat Center for Strategic Studies (BESA) briefed the Middle East Forum in a conference call on December 21, 2017. With the demise of the Islamic State, Syrian President Basher Assad defeated the foremost threat to his regime thanks to Russian and Iranian support. But with substantial parts of Syria held by Kurdish forces, key strategic areas dominated by Turkey, and remnants of jihadist forces still active, the regime has yet to regain full control over his rebellious subjects. Though the Syria intervention has allowed Moscow to reassert its regional position and augment its naval presence in the eastern Mediterranean, Tehran has been the main beneficiary of ISIS' demise. With Iranian and Hezbollah forces playing a key role in the Syrian war, and proxy Shiite militias helping the Baghdad government regain control of northern Iraq, Iran seems closer than ever to establishing a land corridor from the Persian Gulf to the Mediterranean. This has in turn created a conflict of interests between Moscow and Tehran regarding the desirable post-ISIS situation. While the former prefers a weak Syrian military and a strong regime that will keep Iranian influence at bay, the latter wants a strong Syrian army that will help rebuild the military front against Israel and a weak Syrian state it can control. Moscow prefers a weak Syrian military and a strong regime, while Iran wants a strong military and a weak regime. For its part, Israel has made it clear that it will not tolerate an Iranian military presence close to its northern border. Thus far, this message has apparently achieved its goal as the Assad regime has maintained quiet along the Syrian-Israeli border. However, with Iranian-backed jihadist militias established on the Syrian side of the Golan Heights and Israel sustaining its preemptive strikes against them, this calm may not last for long. As part of its "war on terror," Washington conducted limited operations against ISIS. In doing so, however, it unwittingly helped its longtime nemesis, Tehran, and global rival, Moscow, which assumed a greater role in the campaign against ISIS and reaped the fruits of its demise. Ultimately, the U.S. would need to back its allies by clarifying in no uncertain terms its adamant rejection of the continued Iranian military presence in Syria, thus incentivizing Tehran to withdraw its forces and proxy militias from the country. Related Topics: Syria | Hillel Frisch receive the latest by email: subscribe to the free mef mailing list This text may be reposted or forwarded so long as it is presented as an integral whole with complete and accurate information provided about its author, date, place of publication, and original URL.